Fluoride poisoning from groundwater in India’s eastern state of Jharkhand is causing serious health problems for villagers. In Chukru village the people are suffering from acute dental and skeletal disorders, and it’s been that way for a long time. Yellowed teeth and bone deformities develop as soon as children reach the age of five. Ten-year-old Babulal Ram has severe limb deformities. Most villagers have discolored teeth and suffer acute joint pain, particularly in the knees. There’s a growing number of physically deformed children being born in the village. Fluorosis is also causing cataracts, premature ageing, calcified spinal ligaments, softened bones, and other degenerative conditions, such as spinal stenosis. The Chukru village district administration says they’ve put in a pipeline to the Koel River to supply clearner drinking water. The fluoride concentration of water samples from Palamu district ranges up to 600% higher than normal levels. Hello…What are some ways to remove fluroide from our drinking/bathing water? 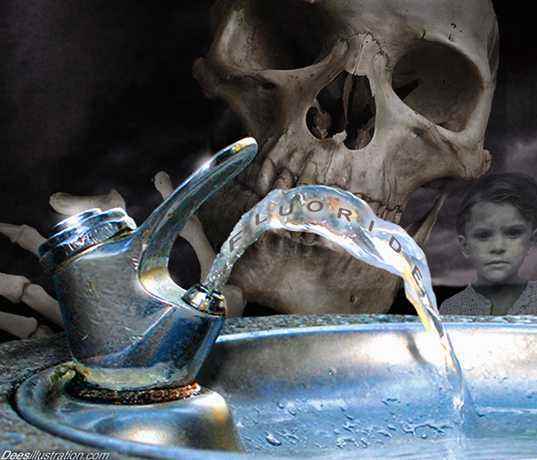 Does our local water distribution boards/corporations add fluoride to our drinking water? Any info on this will be helpful…Im gonna call up BWSSB tmrw and find out whether they add Fluoride to drinking water.